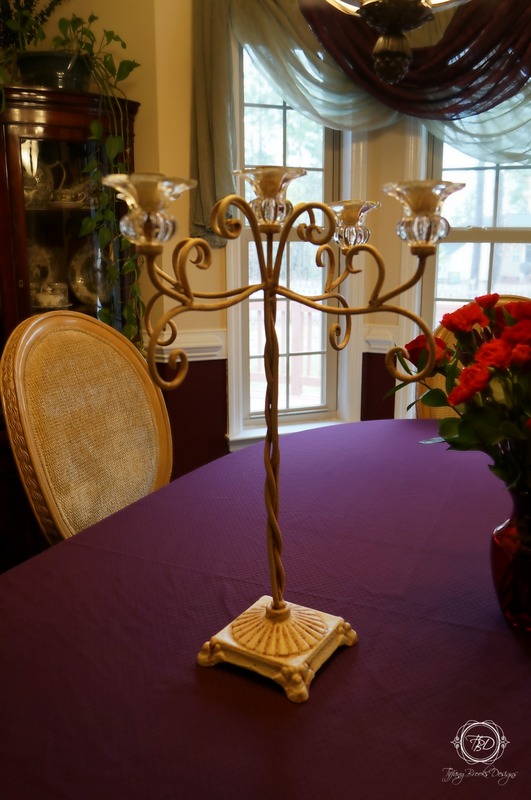 Recently I was out antique shopping and came across this steel candelabra. Though not an antique I just had to have it. 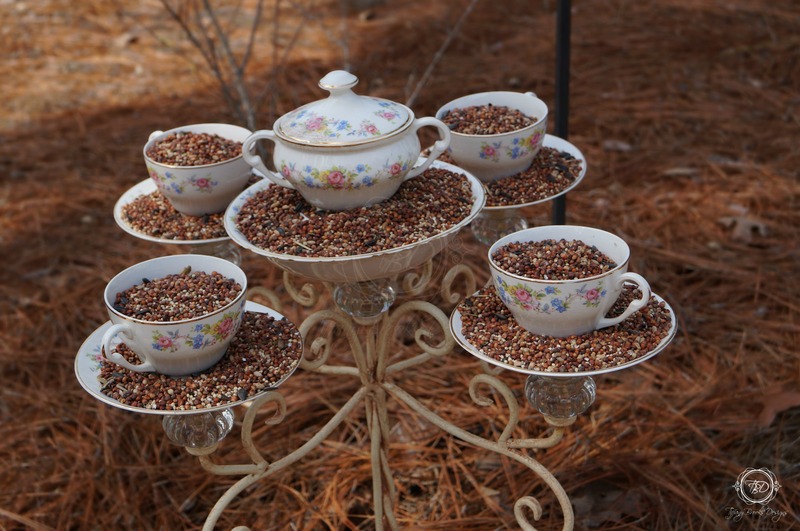 A few weeks ago I bought a set of old china for another bird feeder project so I knew I would have enough for both feeder projects. I used gorilla glue but you can use an glue that you prefer. First thing I did was wash all the china. 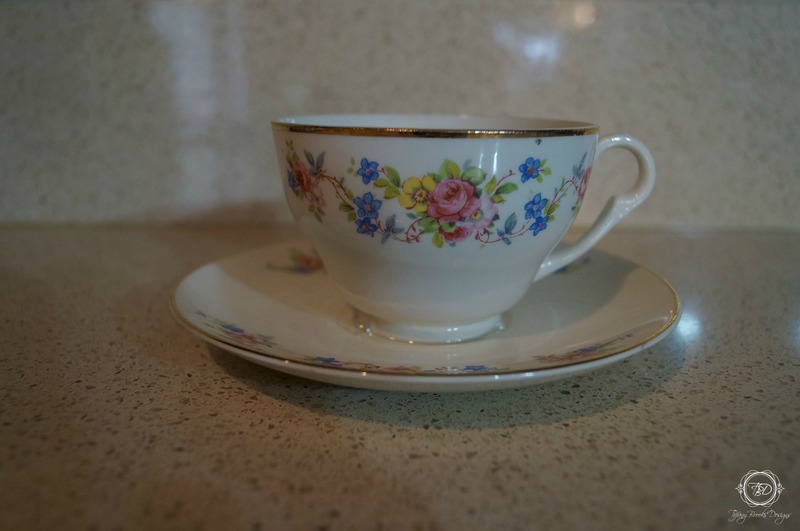 Dirt debris and dust may prevent your glue from sticking properly to your china. As the china dried I sat out the china pieces I intended on using for this project and decided which pieces to use and how to use them. Glue cups to saucers or small plates. I allowed these to sit and dry for several hours. Once I knew the glue was completely dry I then glued the saucer and cups to the candelabra. 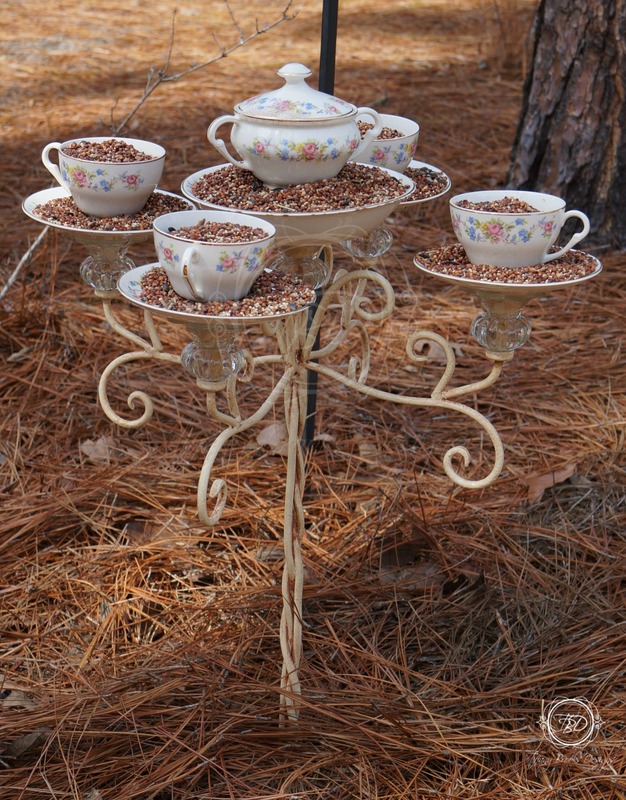 I left my feeder inside for several days after adding my cups and saucers. I wanted to make sure the glue under the saucers was completely dry. After a few days inside my feeder is dry and ready to fill with fresh bird seed. If you have the ability to drill small holes in the bottom of your cups and saucers that would be ideal for rainy days. 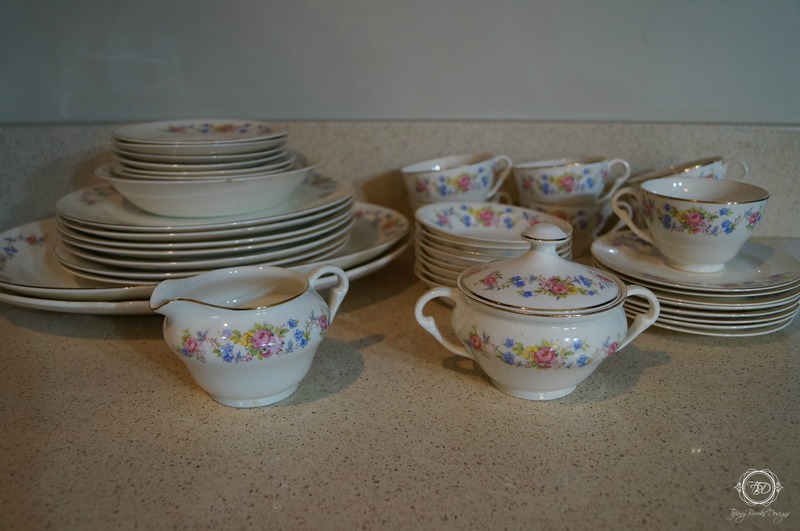 I did not add holes to mine as the china I purchased is very thin and old. Talk about an amazing start up story from a small group of entrepreneurs!!! On October 25, 2012, South Hill officially opened their doors for business with only one Artist, in pre-launch mode. By February 25, 2013 South Hill was fully launched with Artists across the United States and Puerto Rico. According to MLM Rankings on August 25, 2013, ” South Hill Designs is now preparing its official launch in Canada, the first step in a plan to build a worldwide company”. Jewelry from South Hill allows women a chance to express their personality and style through personalized jewelry. 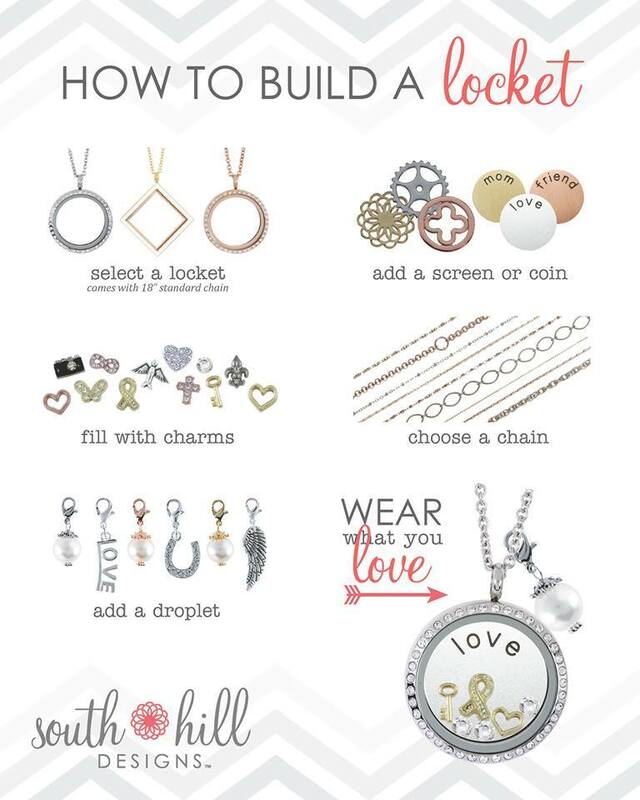 There’s a large selection of lockets to choose from to start building their story. Once they choose their locket, they chose other jewelry pieces such as coins, screens, charms, droplets, and chains. View my website today and start creating your personalized jewelry today! I am so excited to be a part of the South Hill Family and the potential to be a part of a worldwide company! I can hardly wait to see where South HIll will go next! According to MLM Rankings “Beginning in Scottsdale, Arizona, the young company has fanned out across the United States. Within its first 90 days, it has established a network of enthusiastic distributors in no less than 45 states”. 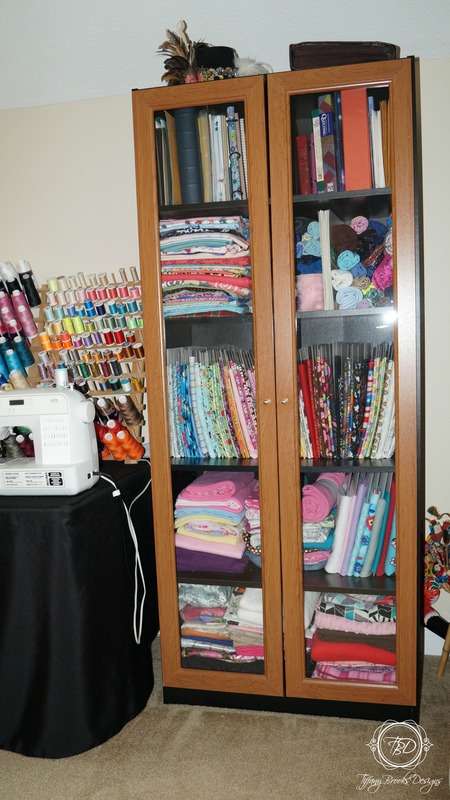 As much as I love fabric I find it to be the one supply I keep on hand that is the hardest to store. 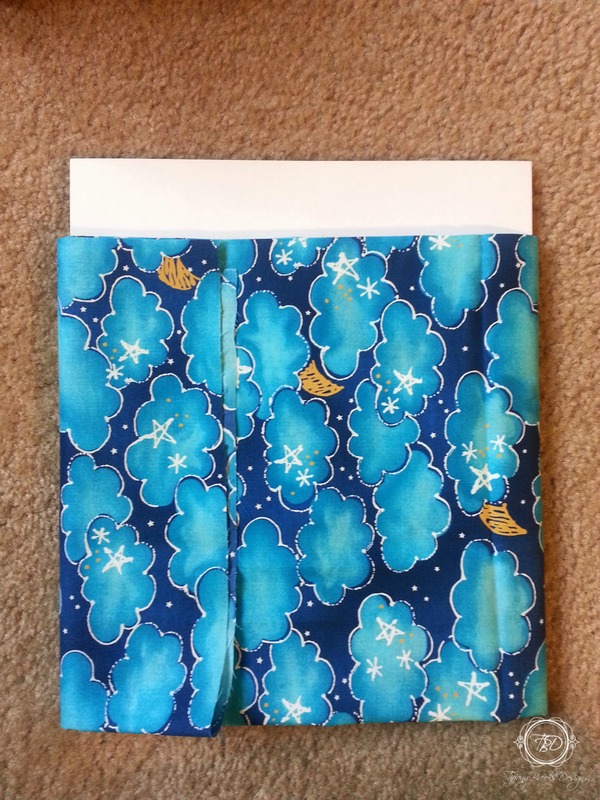 Finding a way to store my fabric so that I can easily look for a particular color or design is a nightmare at times. 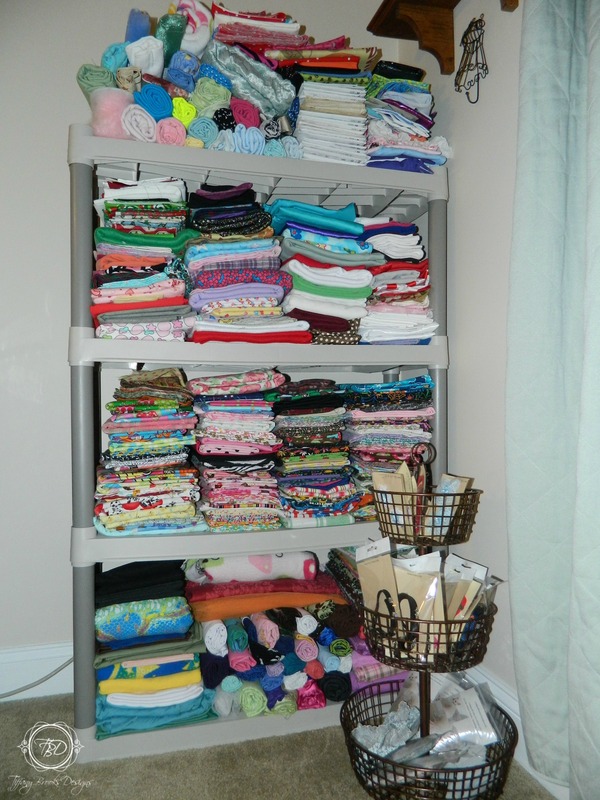 Last week I came across a blog at The Cottage Home she had her fabric organized in a way I had never seen before. 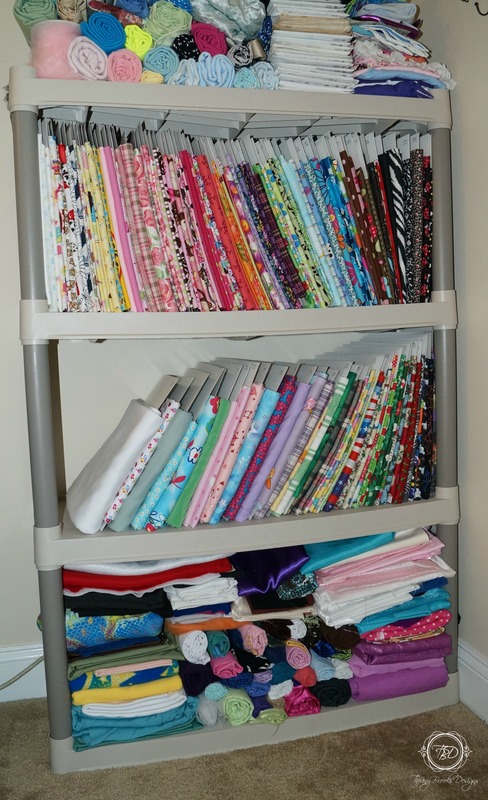 I looked up the fabric organizers and the prices are a little to high for the amount of fabric I have. So as an alternate I purchased magazine backing boards. I am not in any way affiliate with either company: retailer nor manufacturer. If you are interested in these boards this is the site I purchased them from TC Bulk. After searching many sites this was the cheapest place for this size of board. I bought the largest boards I could find and ended up having to cut a little off the longest end so they would stand in my shelf. 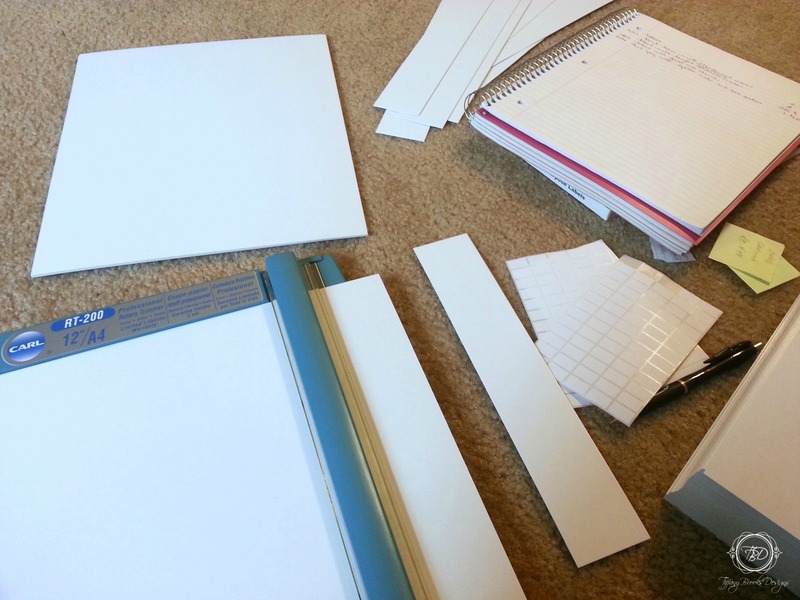 Since this is a light weight paper board I was able to use my paper cutter to adjust the size of my boards. You can wrap your fabric any way that you like this is how I did mine. Starting from the far right end of my fabric I left just enough to hold as I started wrapping my fabric around the boards. The sticker in the top right hand corner is my item number and cost label. 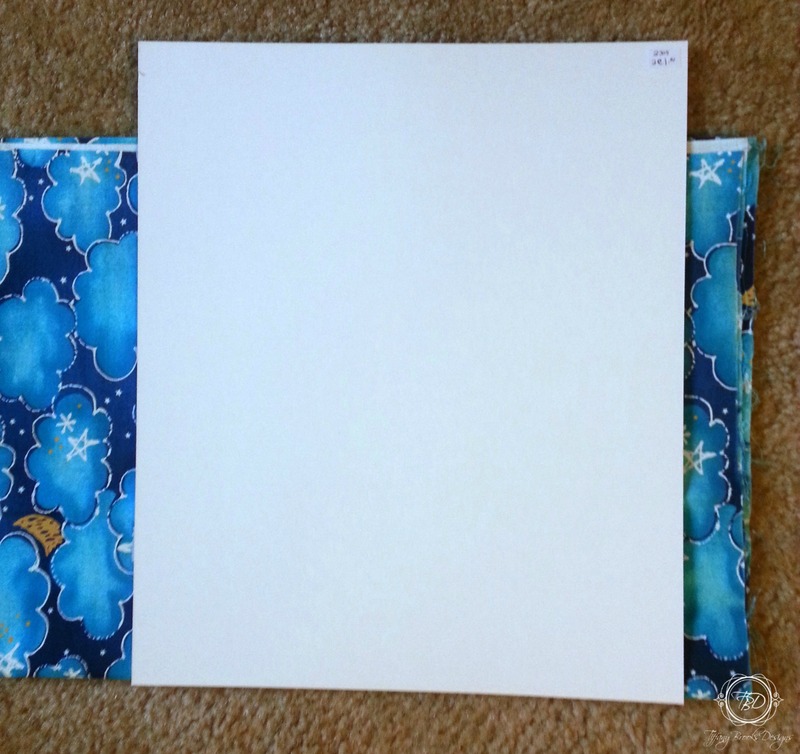 Keeping everything labeled makes it easier to calculate pricing as I am working on an item. At the end I did not secure me fabric in anyway. Once I place these on the shelf they are not going to come apart as they are packed in so tight. Here is my completed and organized shelf. I still have to finish the fabric on the bottom shelf but I do not think I have enough boards. It took me nearly 150 boards to do what is on the two shelves in this photo. I only purchased 200 thinking I could do the entire shelf. I still want the fabric organizers from The Fabric Organizer and will purchase different sizes little by little but the magazine boards are a good start. If you get a chance be sure to check out the wonderful blogs over at The Cottage Home and be sure to take a peak at her studio The Cottage Home Studio. I am excited to share with you my new cabinet I got several months ago. So long plastic shelf. Being a flower girl can be a special event for any little girl. But having your flower girl dress custom made can be just as exciting. Finding the perfect dress for a flower girl or any other members of the bridal party can be a challenge for the bride. Having the ability to get your desired dress custom made is a great option for any bride to be. The first dress pictured is the customer sample picture from a local retailer. I was able to create the exact dress as well as add wider straps and a little layer to the bodice to edge. 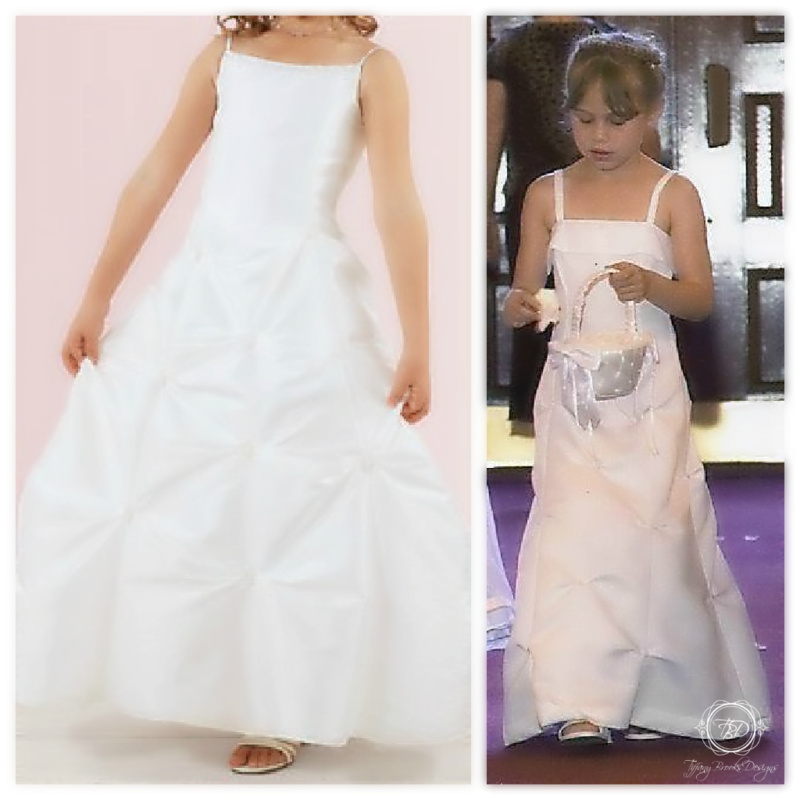 In the end the dress was a perfect fit for the flower girl needing no additional alterations. When ordering dresses even after getting measured you may still need alterations. With a custom made dress you are fitted to your dress as it is constructed. Saving time and money in the end. It’s always important to remember custom made does not mean your dress will be cheaper or more expensive than other retailers. Depending on the fabric selection and additional details to the dress your finished product can be cheaper, more expensive, or equal to a store purchased dress.